Join us for this group discussion on the Classical Pilates Method and practical approaches to issues encountered in the daily work. Lori Coleman-Brown leads this two hour in-studio peer group discussion which provides an opportunity for instructors to ask questions and to share ideas for resolving problems and making progress. Participating instructors are encouraged to contribute to the agenda in the weeks leading up to the event in order to maximize content relevance. 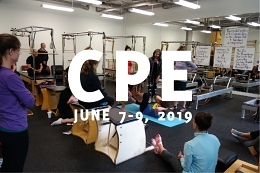 This Workgroup is open to professional teachers who have been certified by an accredited Pilates method training program. Participating instructors are expected to have a comprehensive working knowledge of Pilates exercises and apparatus. Contact Atlas Pilates to learn more. Price is $60.00. Contact us to learn more about this event. Cancellation and Refunds Policy: We understand that circumstances may arise that mean you will be unable to attend the event and you need to cancel. You must notify us of your cancel in writing. We prefer you use the contact form on our website or send us an email. If you cancel up to seven (7) days before the event, your payment, minus a $50.00 cancellation charge will be refunded. 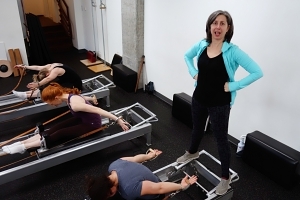 If your cancellation is received seven (7) business days or less before the event, Atlas Pilates will make a good-faith effort to fill your spot with another participant from our waitlist. If we fill the spot, we will refund your payment minus a $50.00 cancellation charge. If we are unable to fill the spot, then your payment will not be refunded. Atlas Pilates refunds Paypal payments through Paypal. All other payments are refunded by paypal or with a business check by mail. Atlas Pilates may cancel or reschedule any event at any time without liability to registrants except for full refund of tendered payment. Atlas Pilates will make a concerted effort to notify you immediately of any cancellations. This school is licensed under Chapter 28C.10 RCW. Inquiries or complaints regarding this Private Vocational School may be made to Workforce Training and Education Coordinating Board.